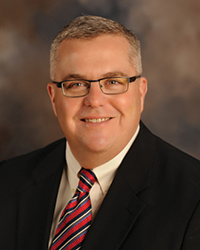 Kelly B. Shaw became Mayor of Indianola on January 1, 2014. A resident of Indianola for over 25 years, Shaw graduated from Indianola High School in 1984, attended college in central Iowa, and returned to Indianola in 2005 following his graduate education at the University of Missouri. Shaw teaches political science at Iowa State University in Ames and works for the University of Iowa in Des Moines. In the community Shaw has been involved in many organizations, including the National Balloon Museum, Habitat for Humanity, coaching for Indianola Parks and Recreation and the Indianola Soccer Tribe, and is an active member of Trinity United Presbyterian Church. He is also a licensed hot-air balloon pilot and has flown in the National Balloon Classic in past years. Shaw and his wife of 21 years, Shari, have two children. "Having lived in Indianola for many years, I felt a real need to give back to the community. Indianola is a great place to live, start or relocate a business, and raise a family. When deciding to run for mayor, I felt that my varied experiences in higher education, including teaching, advocacy, and economic development, could assist the City of Indianola and its citizens to achieve their goals in the years ahead. I look forward to working with the varied interests in the city and engaging Indianola's citizens in local government." Shaw holds degrees from Central College (B.A., Political Science and Communications), Iowa State University (M.A., Political Science) and the University of Missouri (Ph.D.).